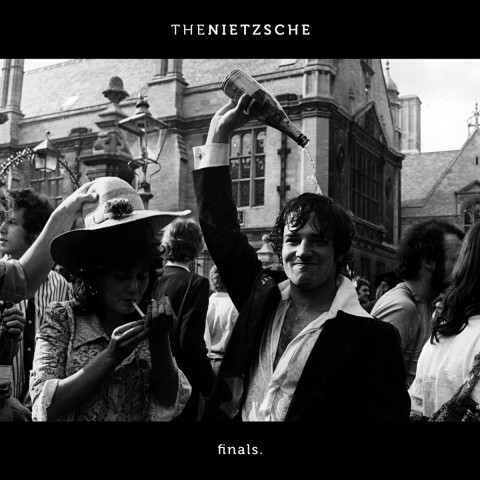 ​The Nietzsche’s last chord: Review of EP "Finals." Once I’ve reviewed the album of one quite offbeat Norwegian band, the representatives of so-called avant-garde metal, based on jazz motifs, including juicy saxophone parts. That moment I thought that its inventor Adolphe Sax should have heard how his instrument sounds after almost two centuries. 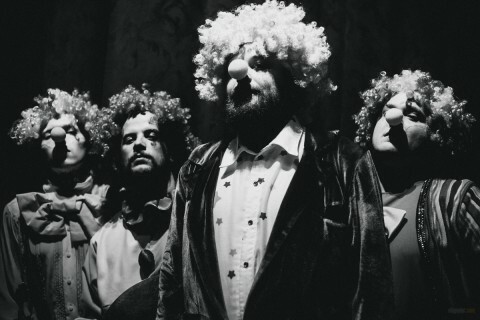 Later similar thoughts about artistic metamorphoses under the influence of time came to me with the release of "Shake Your Spear" single by the Odesa-based metallers The Nietzsche, who gave Shakespeare's poetry a super-heavy mathcore shell, which is very unusual for his works. Oh, William... it must have been you rolled over in the coffin couple of times, pal. According to The Nietzsche’s frontman Eugene Tymchyk, the third EP "Finals." will be followed only by the curtain falling. The dense, impenetrable curtain, as it usually happens at the end of the theatrical performance. Supposedly, this decision of the band is underlined by the barely visible, but so notional dot in the album’s name. But before the end, as the frontman notes, the EP will be presented to the utmost, they may even shoot five videos for each of its tracks, because "Finals." is very special work for those desperate romantics that collected probably the most powerful songs of the band since its appearance. Although, if you look at the record from a different angle, throwing away some marketing features and its halo of importance (sometimes even overstated and too pathetic), you get the album that fully meets the expectations in the framework of The Nietzsche. No more, no less. Somewhat chaotic clot, that crashes into your consciousness with five tracks, absolutely different, sometimes extremely heavy and emotional songs, that curiously complement each other. The point is that the tracklist is traditionally based on the works of famous poets, and for the third time in a row the band have managed to put absolutely incompatible things together, in this case the poetry of Russian modernist Daniil Kharms ("In Kharms Way"), the works of Edgar Allan Poe ("Dreams 4/17"), William Shakespeare ("Shake Your Spear"), Emily Dickinson ("Emily (Wants The) D"), the lines of Ukrainian dissident Vasyl Stus ("Vasyl"), and then technically envelop them with explosive guitar passages and a powerful vocals that ranges from a clear voice, to a literally hysterical roar. It’s interesting that some listeners caught in Tymchyk's voice the Mike Patton’s manner (Faith No More, The Dillinger Escape Plan), and there are definite reasons for that. Vocals is one of those pearls in the record, like in The Nietzsche band in general. Sumburial "Finals." repels and attracts at the same time. Its changeable mood and short timing in about 15 minutes causes a strange feeling of understatement, and makes me look for some hidden, possibly even non-existent philosophical underpinnings in the tracks. At the same time, the album gets you with its expressiveness, carefully polished sound quality and virtuosity of unpredictable bass parts. As for me, "Finals." shows that The Nietzsche's music was, is and will remain very original work. And there are only two ways: either you notice the talent and the amount of work that was done (even if the genre or manner of performance aren’t the ones you prefer), or you just spread your hands and let these folks go. But there is no doubt that the band is (or probably already was) a pretty bright figure of the Ukrainian underground scene.